Member of the comedy troupe The Tenderloins who are known for their TruTV television series Impractical Jokers. 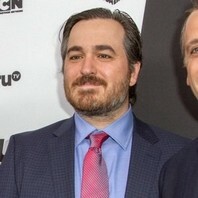 How much is Brian Quinn worth? @MrsAmandaTron @AJemaineClement @TaikaWaititi What a great line. I was dying. @mcflyirishbug @AJemaineClement @TaikaWaititi I’ve seen the movie many, many times. Swearwolves!